And remember to pack the knives. The summer season in the Northeast brings with it beautiful afternoons and outdoor festivals. There are a wide array of free music events around the towns, theater in the park, and poetry readings every night of the week. Saratoga race track season starts soon, and summer visitors pack the capital district in seasonal rentals. So keep your eyes open for the many fun things to do this summer. When you’re out and about for the day, think about packing a picnic basket of fancy foods. This will keep your food costs down without skimping on the quality and also extend your pocket money for other impulse buys like putting a bit more toward your favorite horse! When putting together your basket, remember to pack utensils, cups, napkins, a bottle opener and a cutting board! 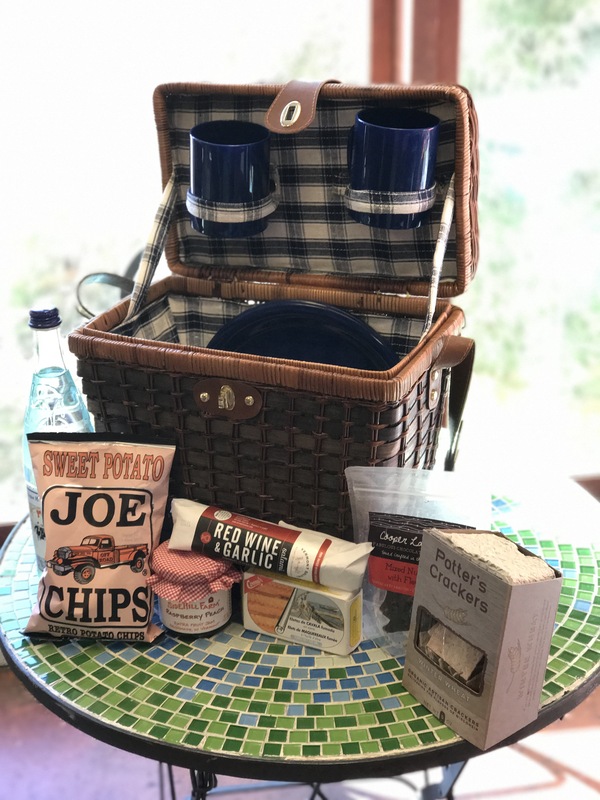 The Cheese Traveler offers a wide variety of picnic basket items in store. If you’re pressed for time, call in an order for pickup. Name your price, and our expert cheesemongers will put together a picnic basket of goodies for you. You can pay over the phone or in store 518.443.0440.